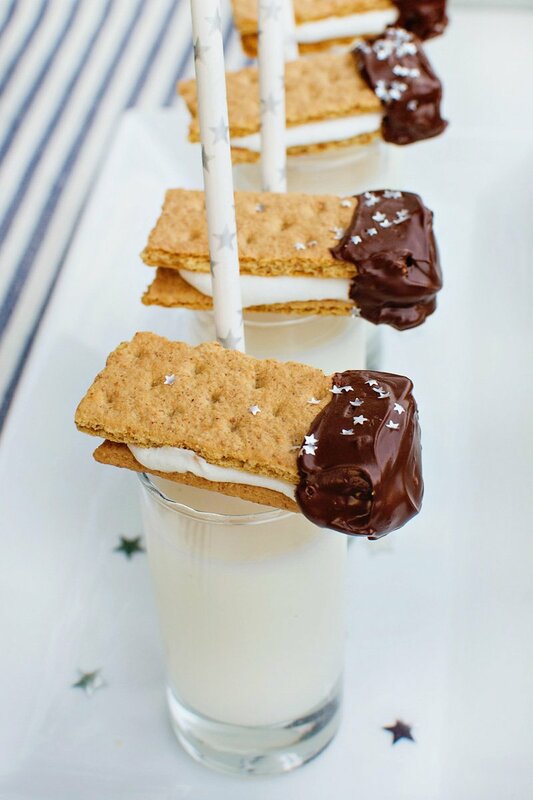 S’mores are one of my favorite desserts, and when paired with cozy blankets and a yummy hot cocoa station, it pretty much makes a perfect night… at least I think so! 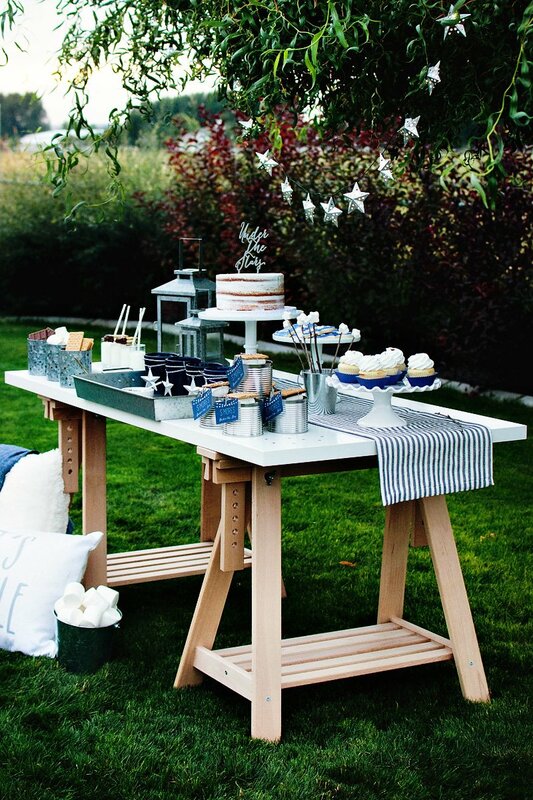 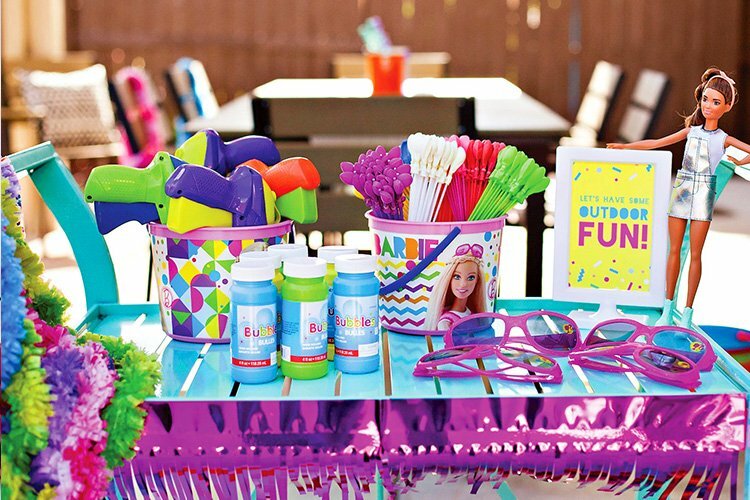 Andressa Hara of Twinkle Twinkle Little Party put together this Dreamy Backyard “Under the Stars” S’mores Bar that looks… dare I say relaxing!? 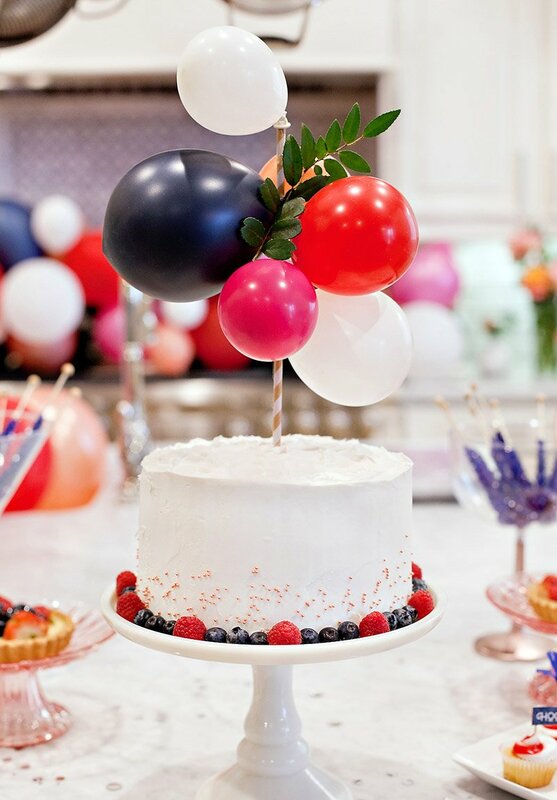 See all the navy and silver decorations, fire pit fun and star-studded snacks below. 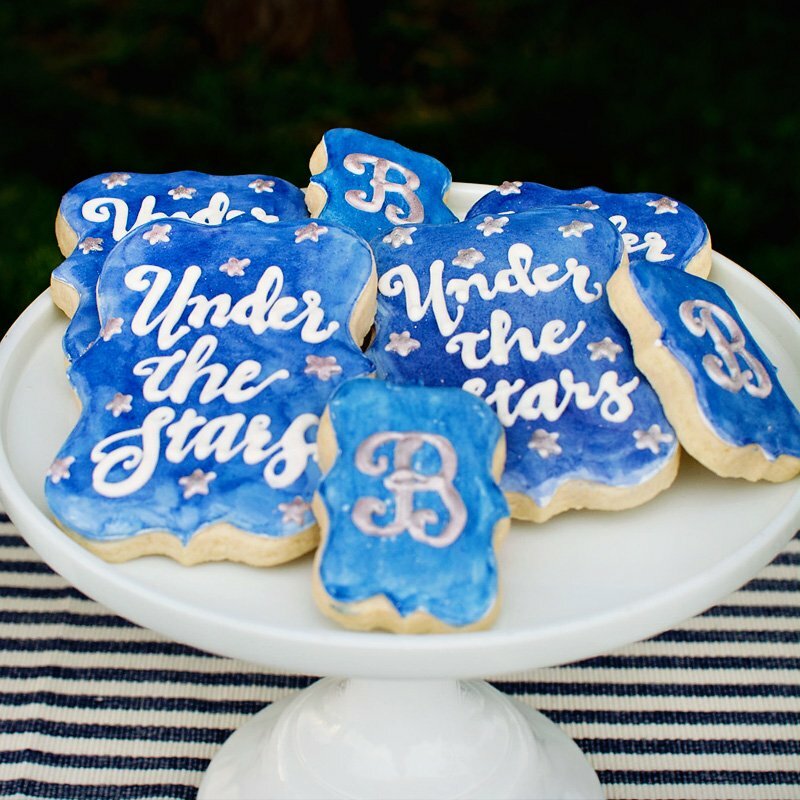 Beautiful blue and white script “Under the Stars” theme cookies from Blue Sugar Cookie Co. 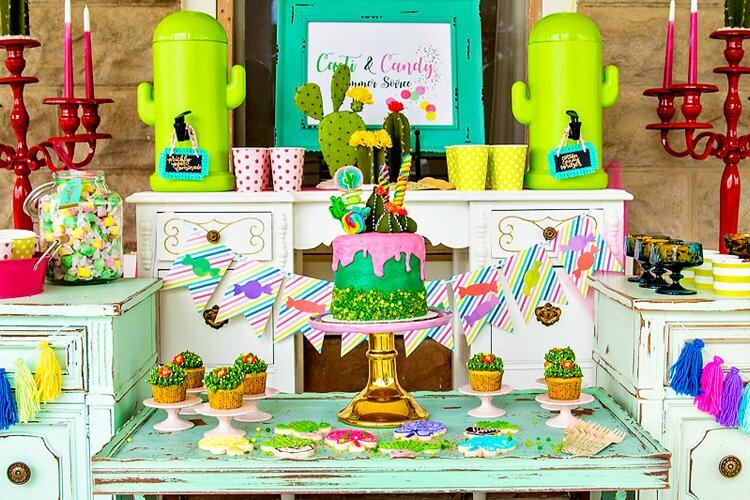 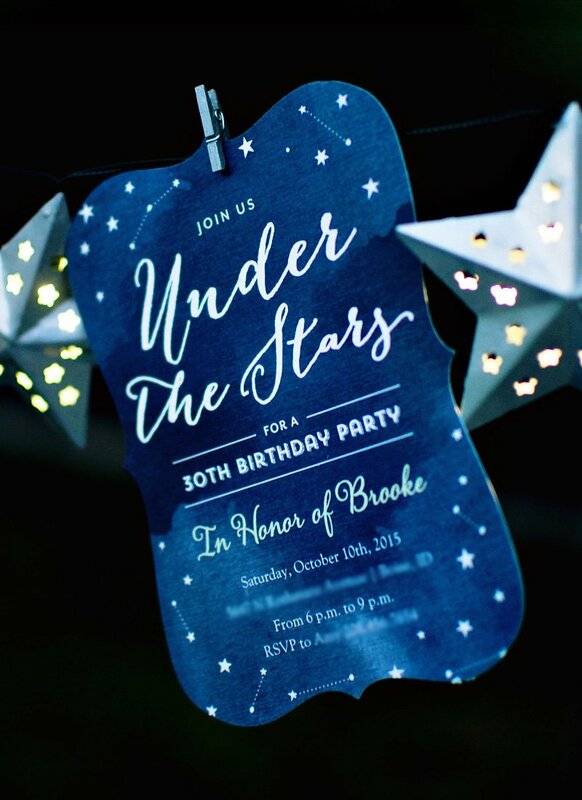 I am excited to share this simple yet fun Under the Stars Celebration I styled in collaboration with Tiny Prints. 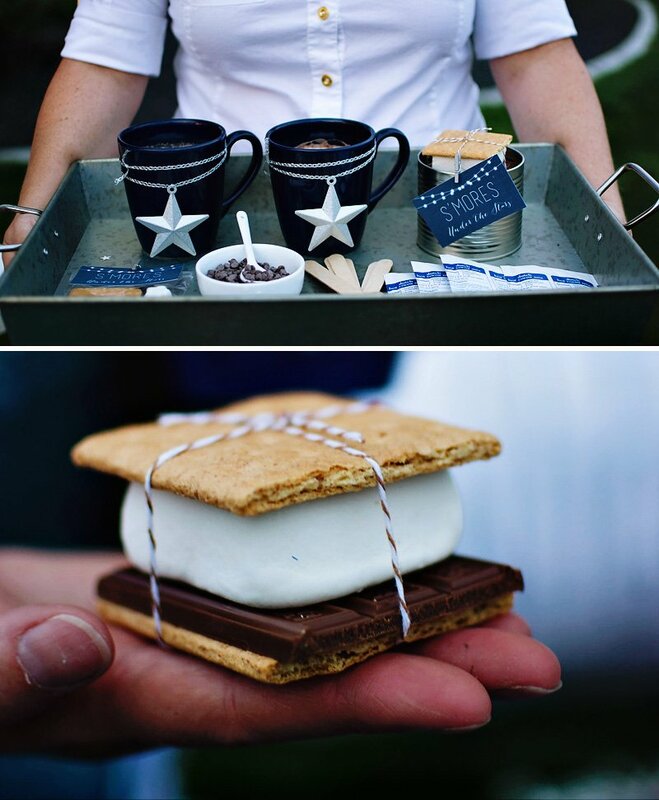 The Under the Stars invitation design was the inspiration for the S’mores and Hot Cocoa station. 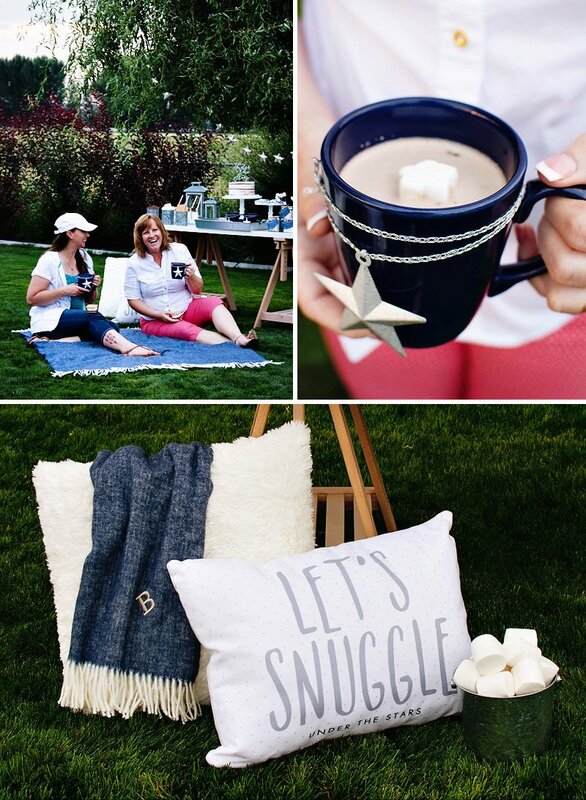 I kept the decor simple yet fun by incorporating a beautiful Herringbone Throw Blanket and “Let’s Snuggle” Custom Pillow by Tiny Prints, galvanized outdoor lanterns and metal star string lights. 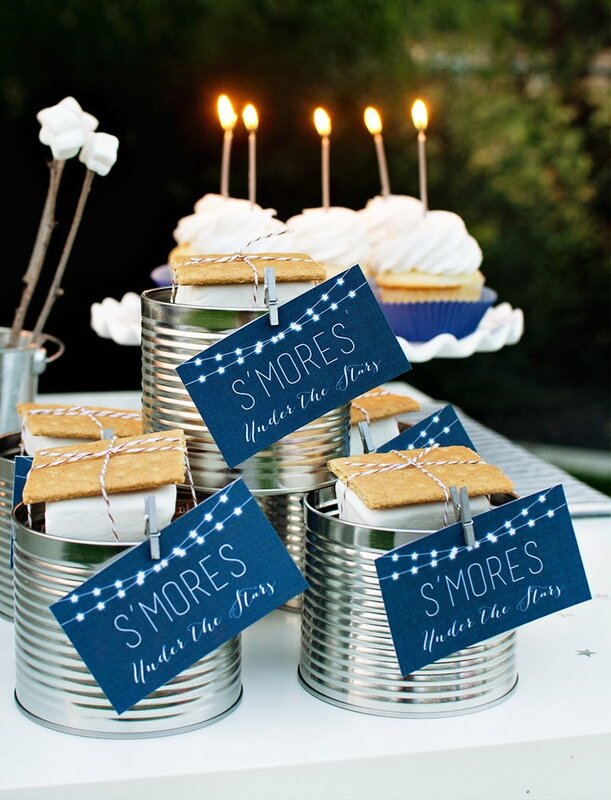 For the S’mores Station, I displayed graham crackers, jumbo marshmallows and chocolate bars in galvanized buckets. 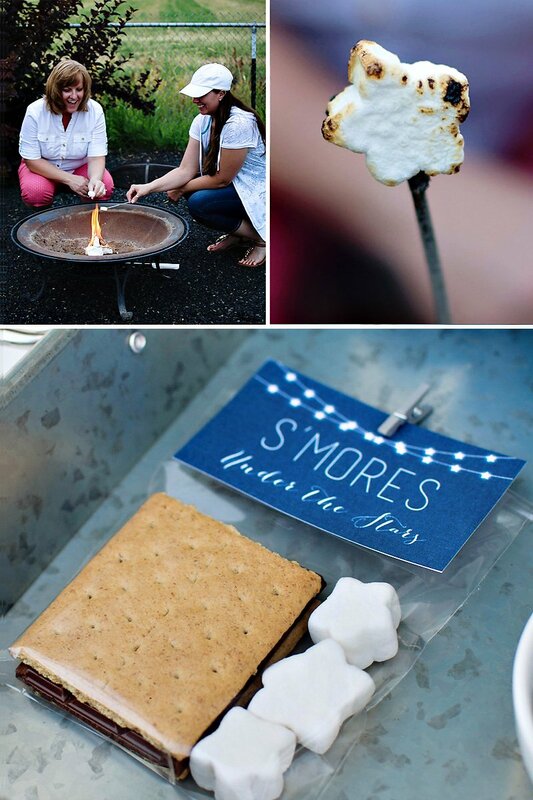 I also placed s’mores kit in mini cans & in clear bags attached fun S’mores Under the Stars tags for a cute presentation. 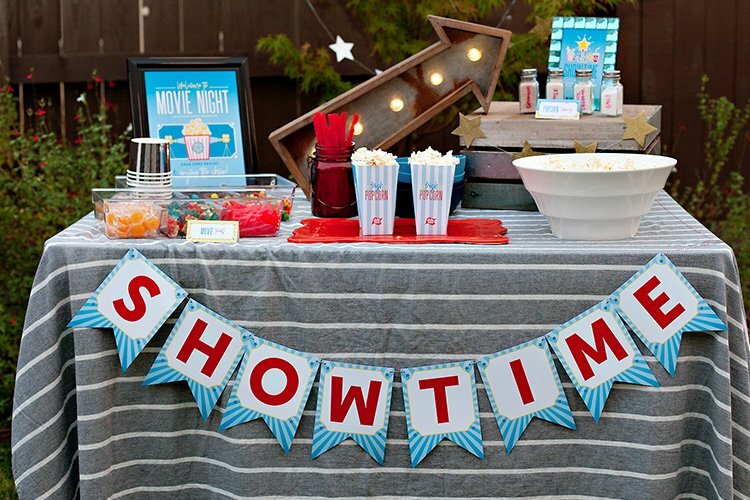 They make great take-home favor idea and if you would like to recreate them, you can find the free tags on our site. 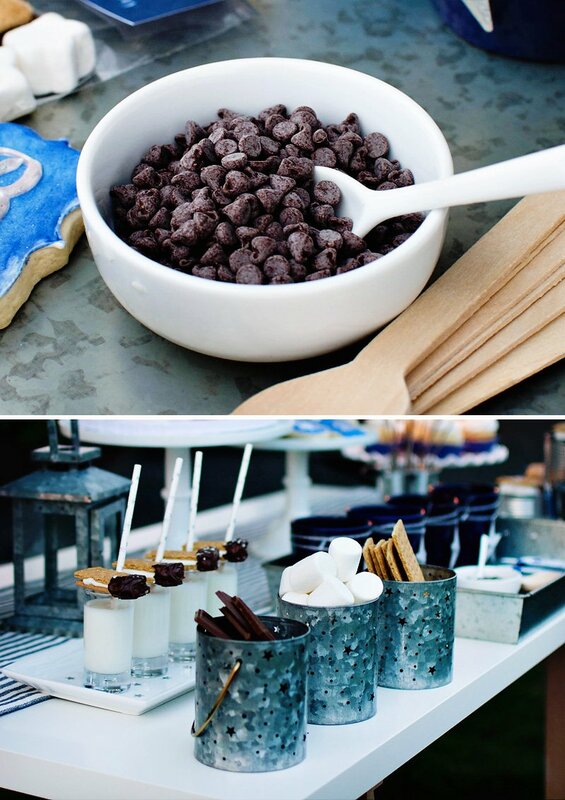 Guests enjoyed hot cocoa in neatly decorated mugs complete with star-shaped marshmallows. 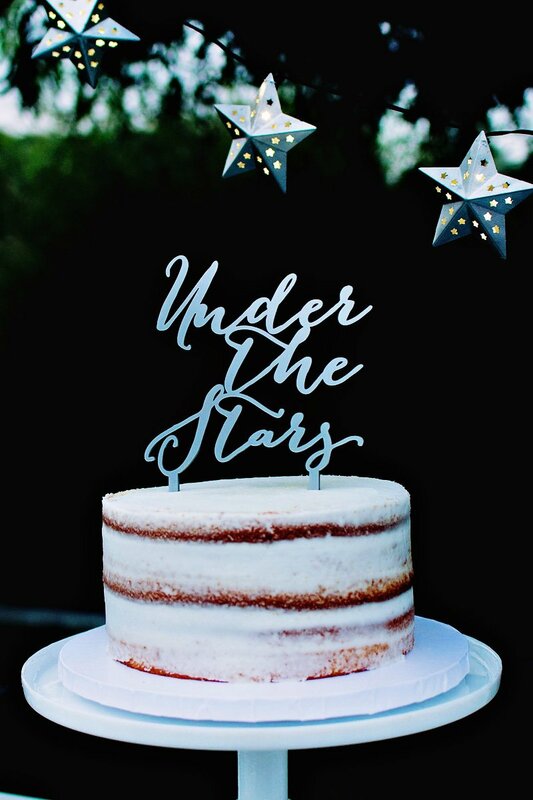 In addition to all the s’mores and hot cocoa fun, I also incorporated a naked birthday cake topped with a custom made acrylic “Under the Stars” topper, simple cupcakes topped with sparkler candles, s’mores treat milk shots and custom cookies that matched the invitation perfectly. 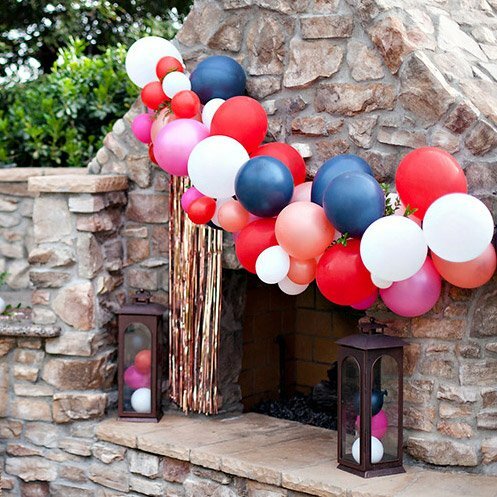 I hope this fun theme inspires you to host your own Under The Stars Celebration! 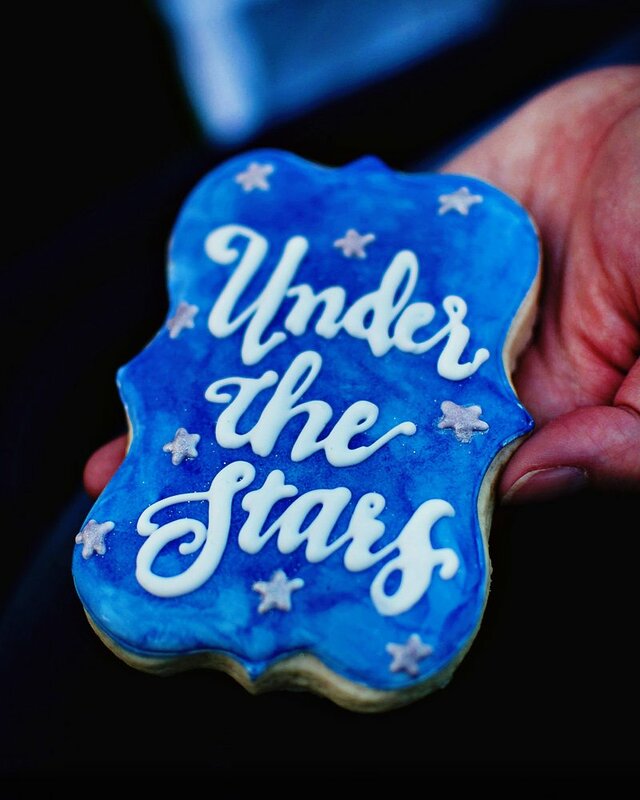 Decorated cookies: Blue Sugar Cookie Co.